purpose built game field structure and 8 different fields. 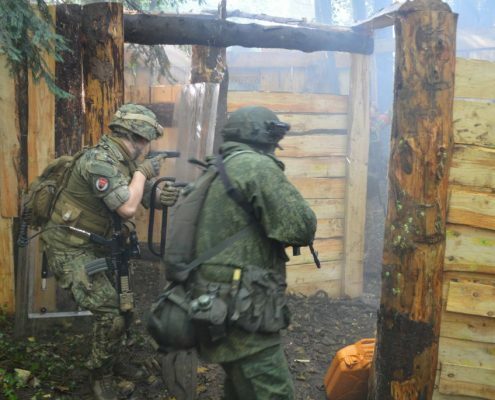 This is a fast passed, close quarters battle (CQB). 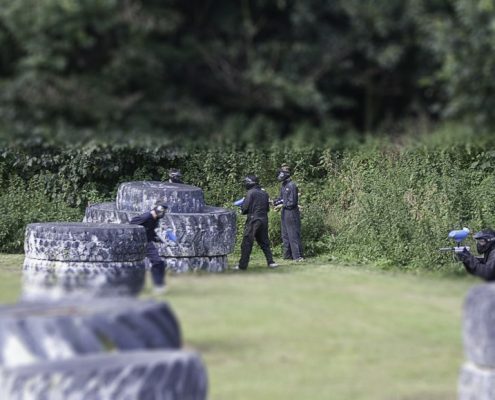 You will work in teams with the objective of manoeuvring through the field to eliminate the opposing team. Multiple solid objects are your defence and with a flat, solid one level surface for you to run on this is where speed, accuracy and agility are a winning combination. Commence attack to win possession of this two tier bridge. Hold back the opposing team to gain control of the structure. However, don’t under estimate the enemy finding their way around to trap you in an ambush. A great tactical takeover possible here! Specific hostage rescue scenario where your team’s objective is to form a rescue party and retrieve the hostage that is being held captive within the walls of the embassy! 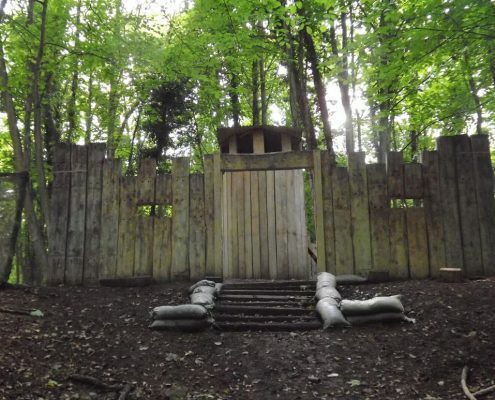 The solid walls of this fort along with its surrounding territory make this attack and defend scenario second to none. This game field will see teams playing against the clock to capture and raise the flag within the footprint of the building. Grit and determination will win this game! This traditional format game has all the ingredients needed– shoot to kill and one main objective – raise the flag! Set your sights on being the first team to get to the rope and raise the flag fully whilst eliminating as many of the opposition as possible! 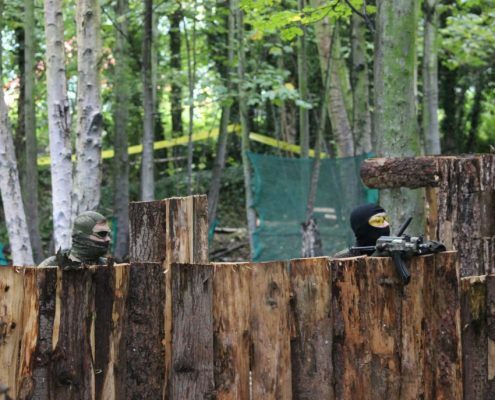 The is a close quarter battle (CQB) that sees one full team starting inside the kill house and the other team outside. 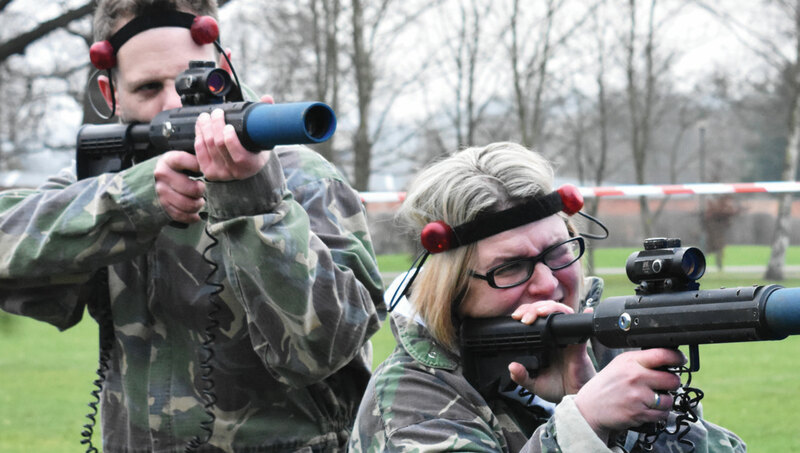 The objective for the external team is to strategically clear the building from enemy hostiles! The structure has multiple rooms this game will push your teamwork and stealth abilities to the limit! 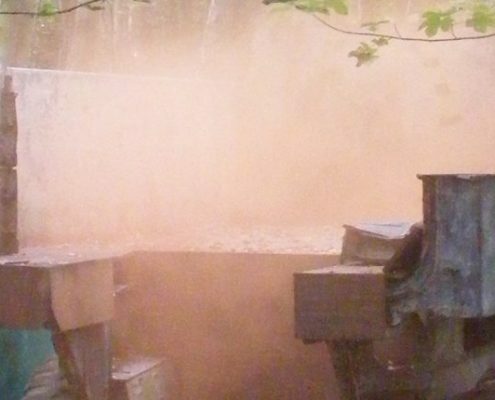 The enemy team have ambushed and obtained a crate of cargo from your shipment. Your objective is to retrieve and secure the cargo from their compound before the extraction time! Get going, get in, get out! Job done! 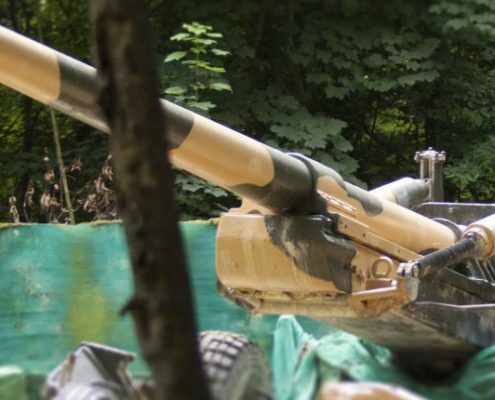 Here there is a Howitzer gun as a focus point! Find the gun and steel the ammunition. Eliminate as many of the opposing team on route to safely steal the ammunition for the gun and get it back to base! 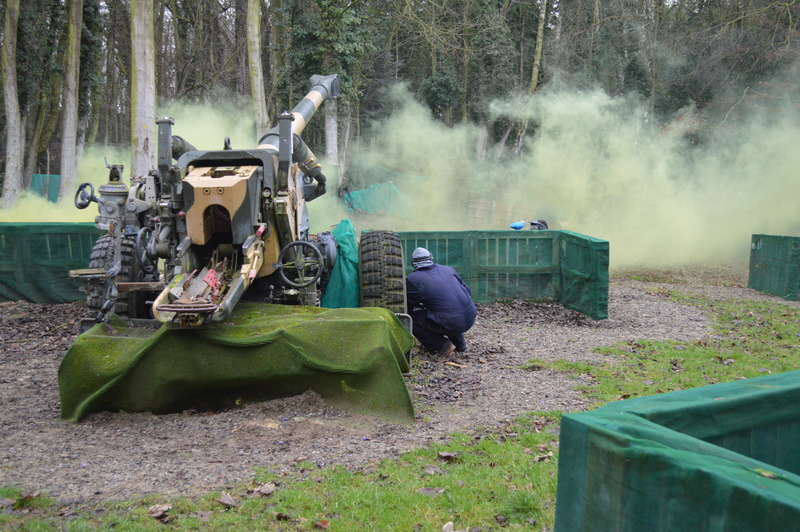 We run 3 x 2hr sessions throughout the day, where you can play in one, two or all three sessions. Not sure what to expect? Don’t worry. 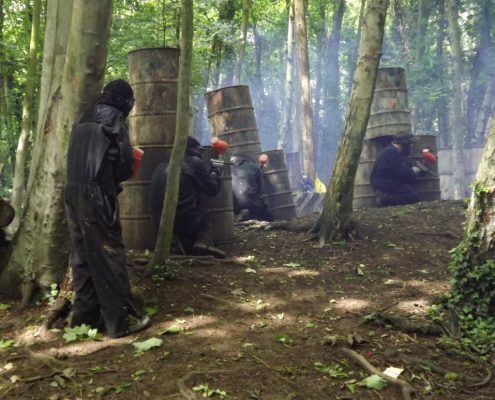 We provide everything you need to enjoy a great day of Paintball. 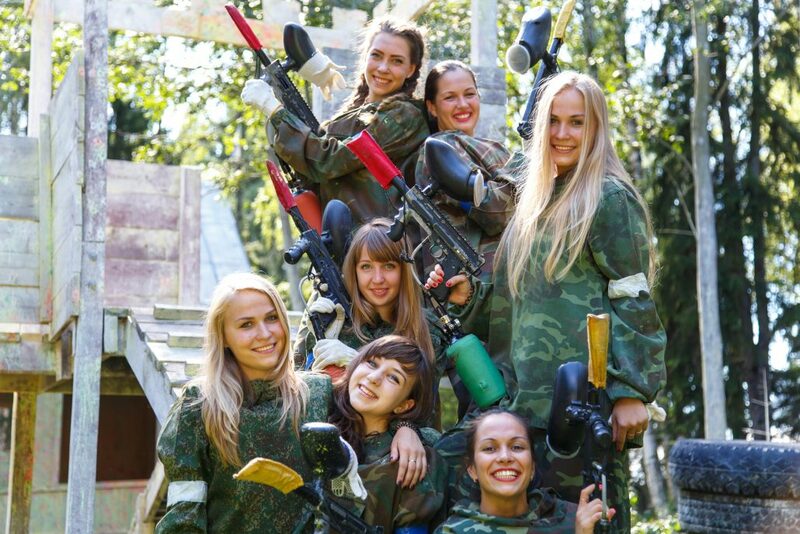 What is the minimum age for paintballing? 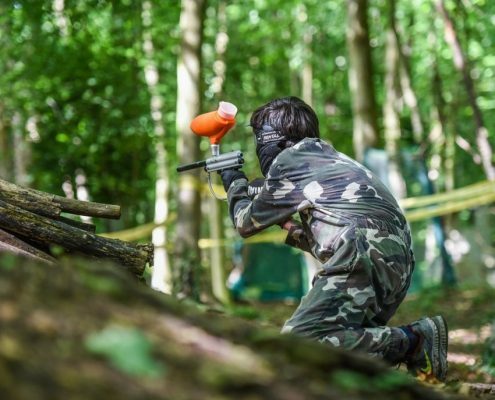 The minimum age for paintballing is 10years. No we provide all safety equipment that will be needed. Is their a minimum or maximum number of persons? We need a minimum of 10 people to run a session however if there are other groups in then you will combine with them, we can cater for up to 150 people in one day. Do we play with other groups? Yes we join all our groups together. Depending on where you are hit it can be painful and cause bruises but it’s the fear of getting shot that keeps the adrenaline pumping! Can the stag/hen wear fancy dress? Yes fancy dress can be worn. Do you provide body armour? No body armour is provided, you can wear you own or wear loads of layers but you are likely to overheat. We run in all weather conditions, it is recommended that you bring a spare change of clothes for after your session if needed. What happens if someone doesn’t turn up for the event? We are able to move the date of your booking once with a minimum of one weeks notice, anything under one week cannot be moved. If we need to cancel a booking due to severe Weather conditions then we will contact you at least 3 hours before your booking.